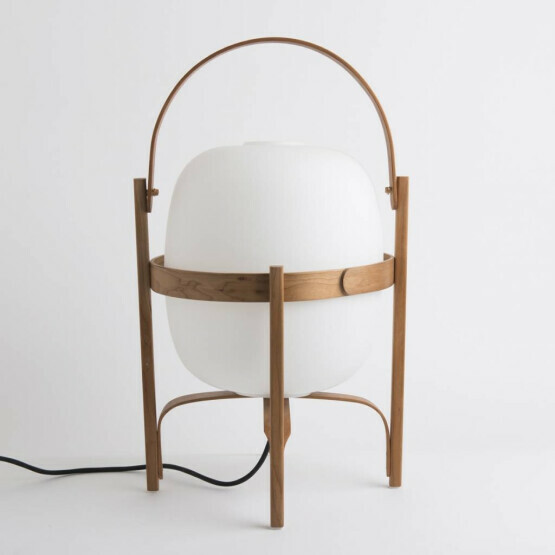 A cherry wood structure with an opal white glass in it's typical oval shape turns this table lamp into a magical lantern. 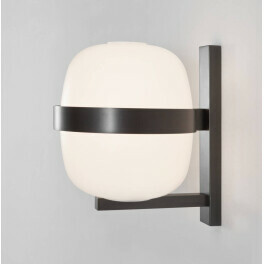 Manufactured by Santa Cole and designed by Miguel Mila, one of the pioneers of Spanish contemporary design. 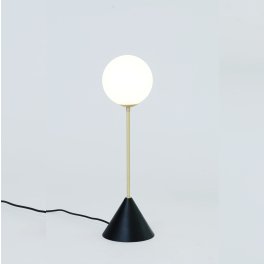 Beloning to the 50's generation, many of his pieces of furniture and lamps have become real classics. 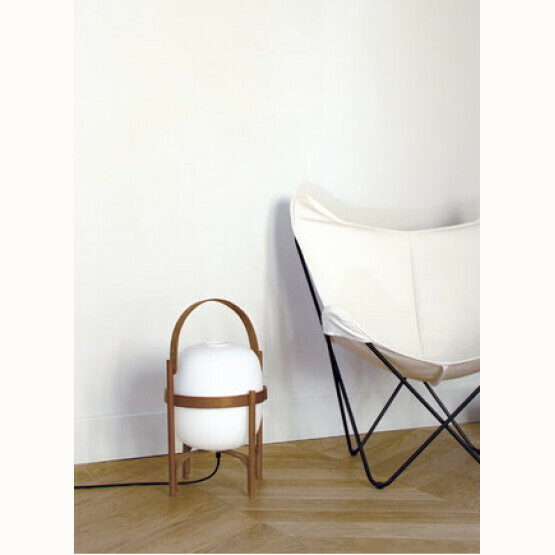 The 'Cesta' lamp being one of them. 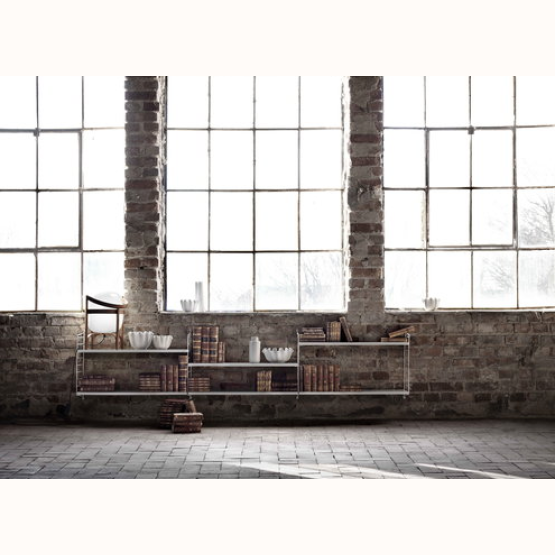 It's dimmable light creates pleasant ambience with the wooden handles making it easy to move. 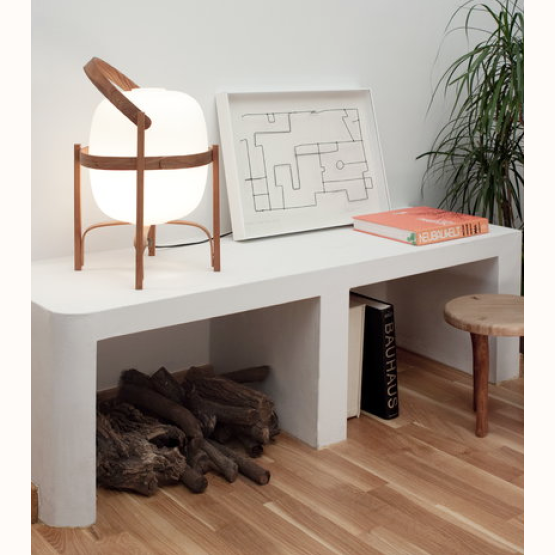 No special care is required, you can use it both as table or floor light. Lightbulb not included. Dimmable LED light is required.